A file with the XLTM file extension is an Excel Open XML Macro-Enabled Template file created by Microsoft Excel. They're used to build similarly formatted XLSM files. 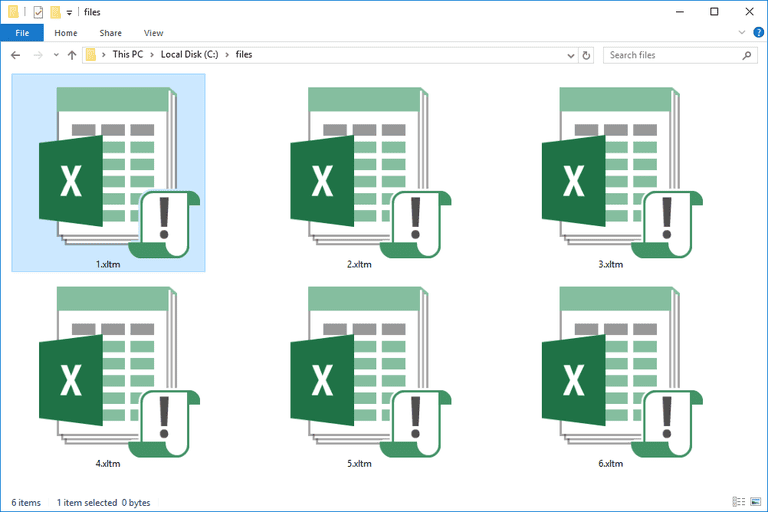 Files in this format are similar to Microsoft Excel's XLTX format in that they hold data and formatting, except that they're also used to make spreadsheet files that can run macros, while XLTX files are used to build non-macro XLSX spreadsheet files. Be sure not to confuse the XLTM format with files that have a similar extension but aren't spreadsheet files, like XLMV, XTL, XTG, XTM, and XLF files. XLTM files can be opened, edited, and saved back to the same format with Microsoft Excel, but only if it's version 2007 or newer. If you're using an older version of Excel, you can still work with the XLTM file but you'll have to install the free Microsoft Office Compatibility Pack. If all you need to do is open the XLTM file and not edit it or run any macros, you can just use Microsoft's free Excel Viewer tool. Some free Excel alternatives that can open an XLTM file include LibreOffice Calc, OpenOffice Calc, and SoftMaker FreeOffice's PlanMaker. You can also edit the XLTM file in these programs but when you go to save it, you must choose a different format since none of them support saving the file back to the XLTM format. Google Sheets (a part of Google Drive) lets you upload XLTM files to view and even make changes to the cells, all within the web browser. You can also download the file when you're finished, but not back to the same format. XLSX, ODS, PDF, HTML, CSV, and TSV are the supported export formats. As you might have already noticed, there are several different file formats that Excel uses for different purposes (e.g. XLA, XLB, XLC, XLL, XLK). If your XLTM file doesn't seem to be opening correctly, you might double-check that you're reading the file extension correctly and not confusing it with some other type of file. If you find that an application on your PC does try to open the XLTM file but it's the wrong application or if you would rather have another installed program open XLTM files, see our How To Change the Default Program for a Specific File Extension guide for making that change in Windows. If you have Excel installed, you can convert an XLTM file to lots of different formats by opening the file and then using the File > Save As menu. You can convert the XLTM to XLSX, XLSM, XLS, CSV, PDF, and many others document formats. The other XLTM openers mentioned above can convert an XLTM file too, most likely to the same or similar formats we just mentioned. A free document converter can save an XLTM file to a new format as well. Our favorite one for this type of file is FileZigZag because it runs entirely in a web browser, which means you don't have to download and install any programs. FileZigZag converts XLTM files to PDF, TXT, HTML, CSV, ODS, OTS, SDC, VOR, and several other formats.